Near the heart of "Austin's Second Downtown"
Guests at ExecuStay Austin can leave the car behind and walk to fine restaurants, fabulous shops like Neiman Marcus, Macy’s and other luxury stores, spas and boutiques. Everything you enjoy can be found within walking distance from your front door. Residences at the Domain will put you at the doorstep of a variety of employers within the Domain community. The premier location of Residences of the Domain along the MoPac Expressway and U.S. Highway 183 will make all of Austin easily accessible to the major employers in Austin, such as Dell and National Instruments. Luxury living in an urban-style setting can only be found in one location… Residences at the Domain. Residences at the Domain enables you to live in a city within a city. 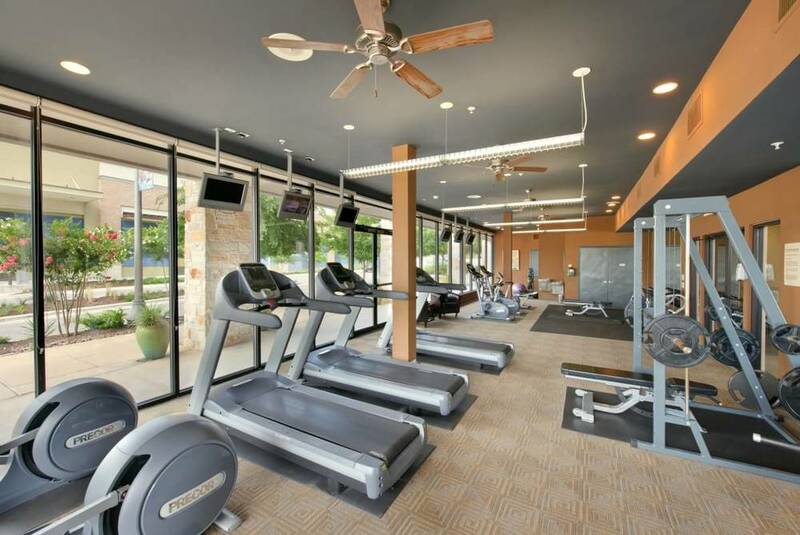 The community offers relaxation and fitness when you come home. *Not all amenities available for every floor plan. Acceptable animals include domestic cats, fish (maximum tank size: 50 gallons), birds and dogs. Dogs that are purebreds or mixes of the following breeds are prohibited: Akita, Alaskan Malamute, Chow-Chow, Doberman, German Shepherd, Great Dane, Pit Bull (American Staffordshire Terrier, American Pit Bull Terrier, Staffordshire Bull Terrier), Rottweiler, Saint Bernard, Shar Pei, and Siberian Husky. All other animals are prohibited. NO ANIMAL IS AUTHORIZED WITHOUT MANAGEMENT’S PRIOR WRITTEN PERMISSION AND THE EXECUTION OF AN ANIMAL ADDENDUM. It’s peaceful in Northwest Hills, serene, yet bustling with activity. Located between Spicewood Springs Road, Mesa Drive and Far West Boulevard, Northwest Hills is a gem of a neighborhood just outside of central Austin. Easy access to Mopac, U.S. 183 and Loop 360, as well as a variety of other local options. The Arboretum is just a stone’s throw away. Some of Austin’s favorite restaurants are right in the area. If it’s a pizza night, call Mangia for their famous Chicago-style pizza. If it’s a fast-food night, head right over to Wally’s for some burgers and fries. If it’s a night out on the town, dress to impress and visit the well-known fine dining favorite Mirabelle. The University of Texas operates a bus shuttle to Far West Boulevard to serve the student population living in apartment complexes along Far West Boulevard, Hart Land and Wood Hollow Drive. The Austin Parks and Recreation Department oversees more than 16,682 acres of land containing 206 parks, 12 preserves, and 26 greenbelts.